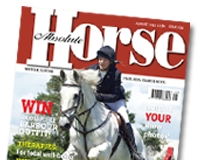 “The World’s Most Famous Horse Show”, is delighted to announce that HorseHage will continue as the show’s Official Haylage Supplier for another year. This well-established brand will once again provide the haylage of choice for many of the 1,600 horses due to arrive at Birmingham’s NEC for the 65th anniversary show from 9th – 13th October 2013. Sealed bales of HorseHage, the ideal natural forage, will be available for competitors to purchase from the stable area during the show, eliminating the need to transport forage from home. The South Suffolk Show is taking place on Sunday 12th May, at Ampton racecourse near Ingham, Bury St Edmunds. The one-day agricultural show, now in its 125th year and regarded by many as one of the leading shows of its type, is looking forward to welcoming you through its gates! Following the popularity of last year’s show, this year’s event will feature its old time favourites including: a craft marquee; a food hall; a variety of individual trade stands; a display of vintage farm machinery; classic cars arriving at the showground to complete an 80 mile classic car rally run in conjunction with both West Suffolk Motor Club and Eastern Counties Motor Club; some superb children’s entertainments, including a funfair; and for the 2nd year running a dedicated ‘Gardener’s Delight’ area. Animal lovers will be further indulged with livestock classes featuring cattle, sheep, pigs, donkeys and horses. The National Equine Forum (NEF), held earlier this month, has been televised for the first time so if you missed this exclusive equestrian event you don’t have to miss out. H&C TV has devoted an entire Rudall’s Round-up show to the NEF. Watch Jenny Rudall capturing the essence of the event and interviewing some of the equestrian industry’s influential players and famous names including the actor Martin Clunes, Double Paralympic Gold Medallist Natasha Baker, Roly Owers, Chief Executive of World Horse Welfare, Hugh Thomas, Director of Badminton Horse Trials, Richard Lancaster, Chairman of the Thoroughbred Breeders Association and NEF chairman Tim Brigstocke. 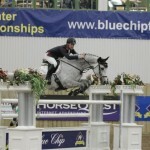 The Veteran Horse Showing series are looking for sponsorship. To register your interest or to find out further details please contact: clarefrost@veteran-horse-showing.co.uk before the beginning of April.